ASUS ROG G751JY-WH71(WX) is the best performance, high end gaming laptop that is just loaded with lots of great gaming features. 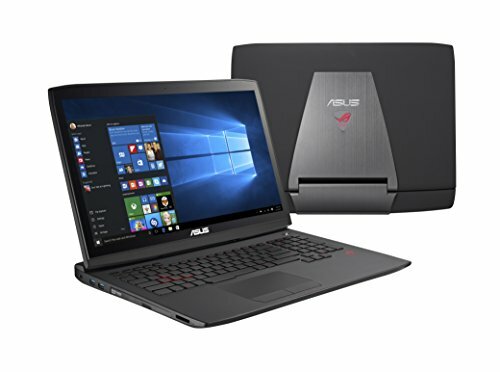 As the name ASUS Republic of Gamers (ROG) G751JY-WH71(WX) concludes that the laptop is designed for the gamers and it is not just named as ROG, but it comes with the best performance NVIDIA GeForce GTX980M 4GB GDDR5 Graphics and 2.6GHz Intel Core i7-4720HQ Processor that never asks you to compromise with the games and just runs perfectly. It is also rich in RAM with a 16GB DDR3L MHz SDRAM, which just loads and runs best applications and games. If we talk about the storage then it comes with 1TB hard drive and 128GB SSD that can just store lots of your favorite games and apps. 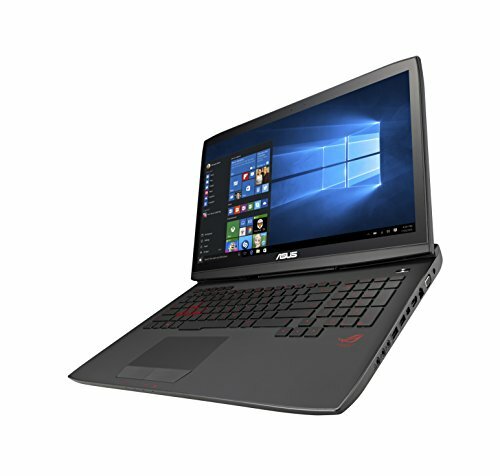 ASUS ROG G751JY-WH71(WX) is the all new 5th Generation Intel Core i7 laptop with the best and high performance NVIDIA GeForce GTX 980M Graphics that gives you the unbeatable mobile gaming performance. The ROG G751 comes with the TurboMaster technology and that helps to stable the GPU Overclocking. 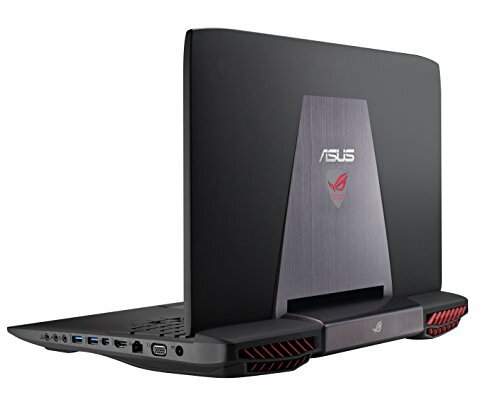 One of the best thing of the ASUS ROG G751 is that it consists of the optimized dual-fan cooling system and that keeps you and your laptop cool during the time of battle. The best feature of this ROG is that it comes with the quick access keys for recording your gameplay and it has never been so easy to record the screen. Also the ROG key launches the gaming center on its press and there you can build your own gaming profile. 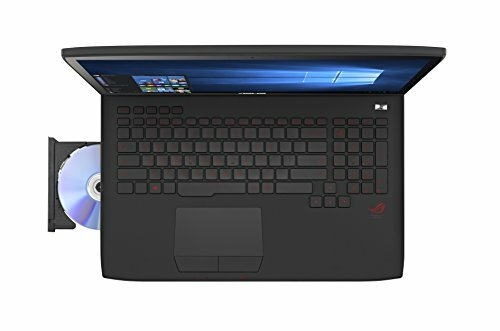 As we all know that ASUS comes with a great design and as this laptop is of ROG series, it has the best design with the ROG logo that makes you to identify it at your first sight. Experience the Full HD gaming with its 178-degree wide-viewing angle display along with anti-glare coating. It’s one piece backlit keyboard is ultra responsive along with the highlighted WASD keys that makes you operate it faster than normal. It supports you during working with it during the darkness and also you can adjust the brightness of the backlit as per your requirement. ASUS ROG G751 is the best gaming laptop with the best gaming features which we have seen above. Some of the other best features of the ROG G751 are macro keys and quick access keys that just help you to access the Steam, recording game and more very easily. The best graphics card is already loaded on it for the best gaming experience but it also comes with a TurboMaster for the graphics boost. It controls the heat with its dual and independent GPU and CPU fans that work with copper Heatsinks to keep your ROG G751 cool. It also comes with the ROG AudioWizard utility that just provides the best realistic audio with your own settings. One of the great thing of this ROG is that it supports the 4K2K HDMI output. ASUS ROG G751JY-WH71 is the best gaming laptop has been proved from the above things we have seen. It is the best 2.6GHz Intel Core i7 4720HQ Processor and NVIDIA GeForce GTX980M 4GB GDDR5 Graphics that just runs and never stops. It has the best and high RAM of 16GB along with a 128GB SSD and 1TB hard drive. It also comes with the 1.2MP HD web camera and DL DVD±RW/CD-RW optical drive. It comes with many useful interfaces like a microphone in jack, 2 headphone out jack, 1 VGA port, 4 USB 3.0 ports, 1 LAN connect, 1 HDMI, 1 thunderbolt port, 1 SD card reader and 1 adapter plug. It has the huge 8 Cell battery of 6000mAh that just makes you play the games during the power cuts. That’s all about the best and performance ASUS ROG G751JY-WH71(WX) Gaming Laptop. ASUS ROG G751JY-WH71(WX) is a best gaming laptop for the money. 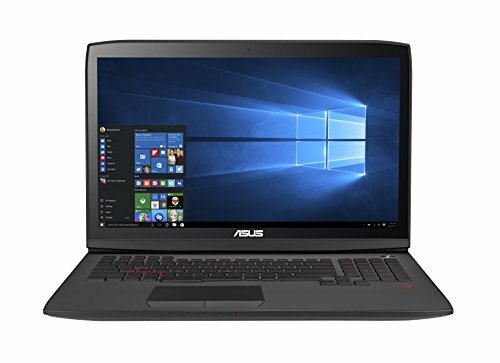 Overall ASUS ROG G751JY is a good gaming laptop. 17.3" IPS FHD matte display (1920x1080) with built in G-sync hardware.